Learn more about our French classes for beginners. Beginners in French are at the A1 or A2 level of the Common European Framework of Reference for Languages (CEFR). Evaluate your level to find out if it suits you! Through our courses, our students acquire basic knowledge of the French language, allowing them to cope in a French environment. At the end of our classes, students can present themselves in French, express their opinions and ask for information. Our students can also understand words or phrases in simple texts and write short texts. The teachers approach the notions of the French language by using subjects which arouse the interest of the students. The first courses are usually used to better understand the individuals and allow the teacher to target the interests of the latter. Depending on your preference, French lessons for beginners can be provided by Skype or by phone. However, teaching by Skype is ideal when the individual is a beginner since it allows screen sharing, exchange of texts and images. In this sense, Skype becomes a very instructive visual support that gives the student the opportunity to integrate more quickly the different notions of French. It is possible to make changes to the course schedule, without penalty, with 48 hours notice. At Global Lingua, there is a study area that contains useful learning tools for learning another language. This study area is a real place of information sharing and provides access to the history of course notes exchanged between you and your teacher. You can also discuss with your teacher your desire to do exercises outside of school hours to consolidate the concepts acquired during the course. French language courses for beginners are given on a frequency and at a time that may be best for the student. Students generally choose to take 30-minute or one-hour classes, but it is also possible to opt for longer courses. Beginning students generally choose to start the program with a 30-minute class, and when they become fluent in the language, they feel more comfortable continuing the program with one-hour classes. At Global Lingua, it is possible to progress through the different courses offered for individuals of all levels. Eventually, you will benefit from our French courses for intermediate and advanced levels. If you want to accelerate the pace of your learning, you can choose to take intensive French courses, also offered for beginners. why should i choose Global Lingua? It’s so easy to take language classes with Global Lingua. Your registration will be done in 5 quick steps! Global Lingua relies on the Common European Framework of Reference for Languages ​​(CEFRL) which is recognized around the world to assess the level of language proficiency of its students. After each class, check how many progress you made, thanks to the tools available in the study area. 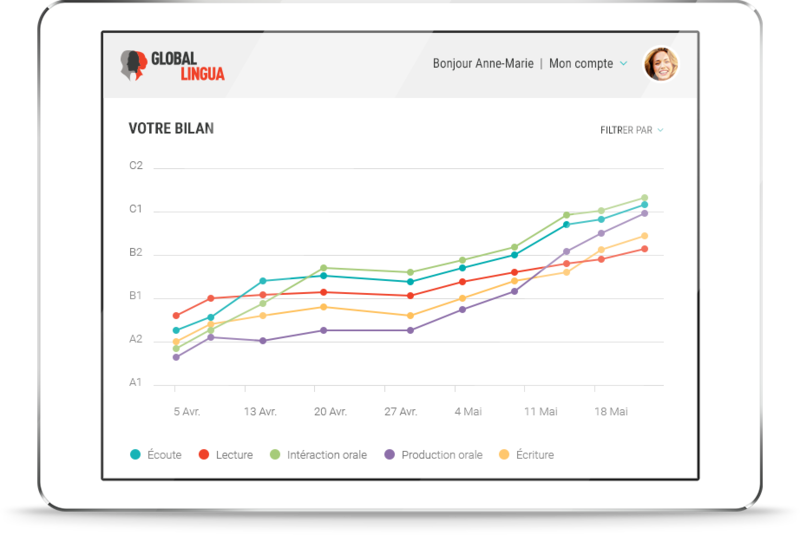 Global Lingua c'est plus de 18 024 clients satisfaits qui ont atteint leurs objectifs. "I really enjoy learning French with Global Lingua- and especially my teacher, Claire! She makes learning fun, while still helping to make sure that I am making progress. I would recommend the classes via telephone to everyone!" 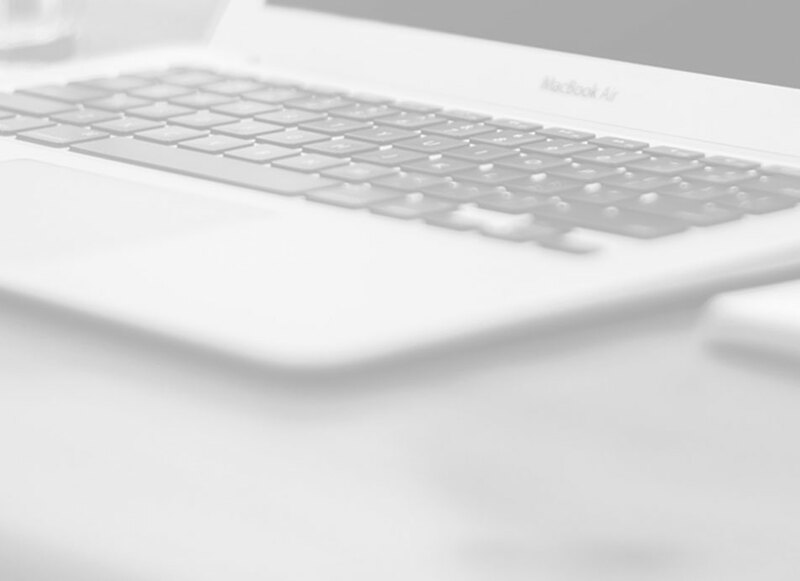 Take our evaluation test online to assess your level and choose the most suitable courses. Global Lingua offers remote language courses via Skype or telephone. We rely on a proven methodology aimed at achieving specific goals and a frequent monitoring of the student’s progress.